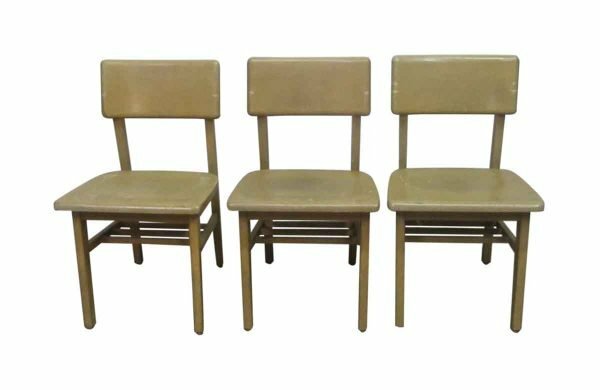 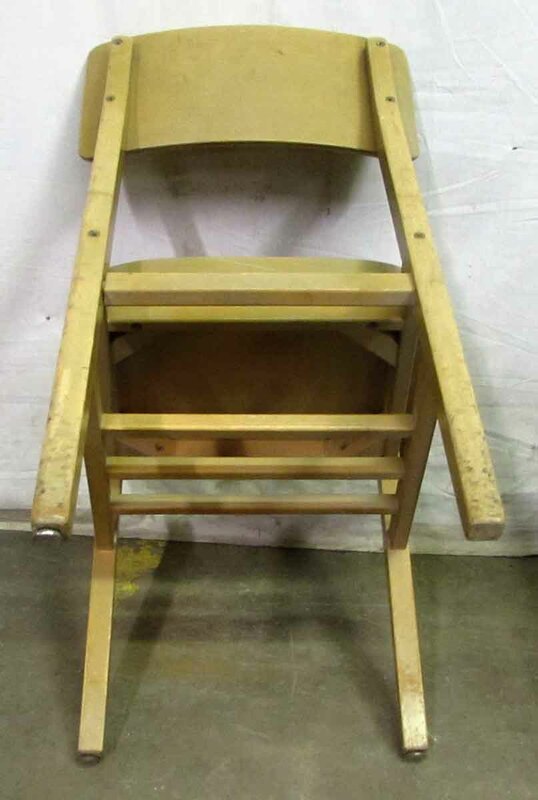 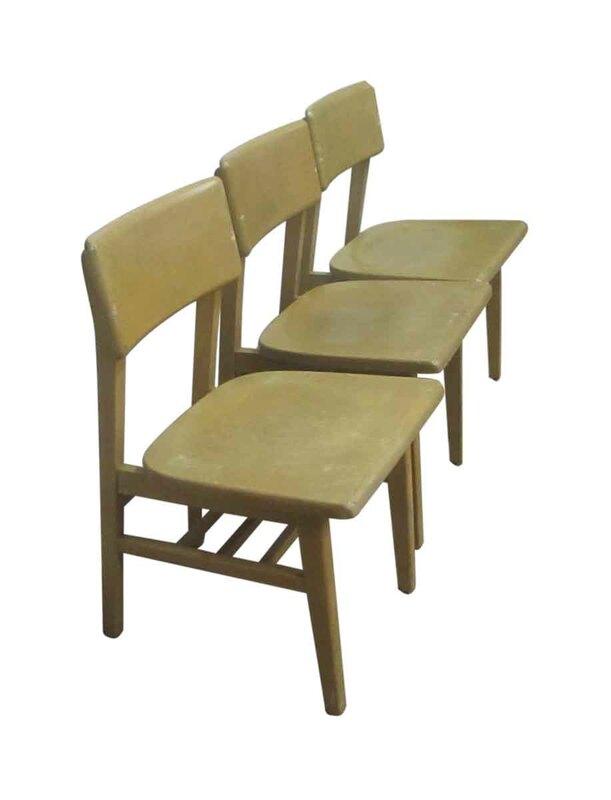 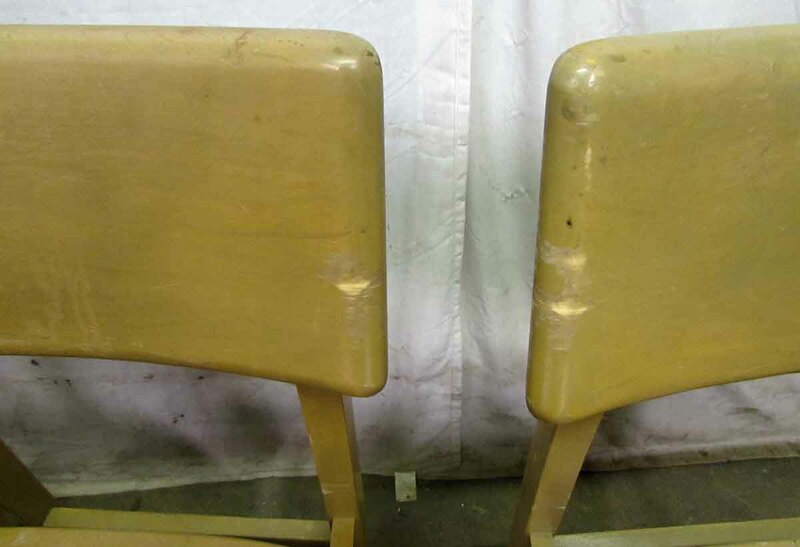 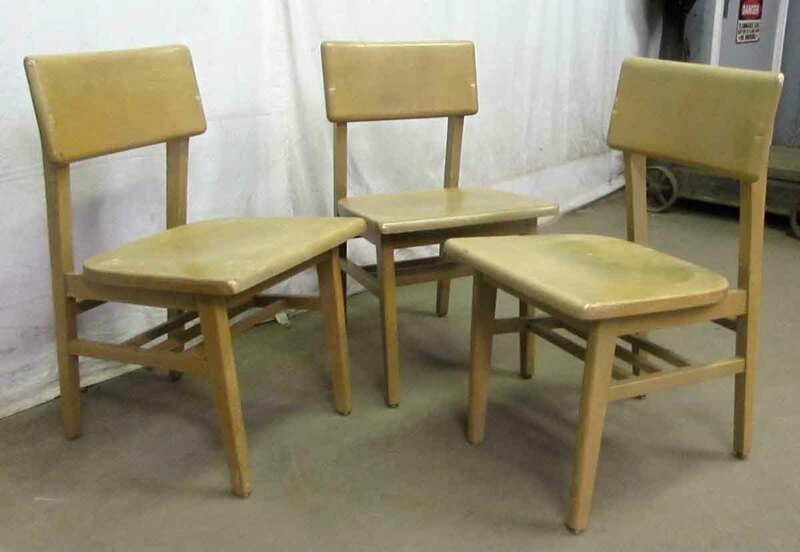 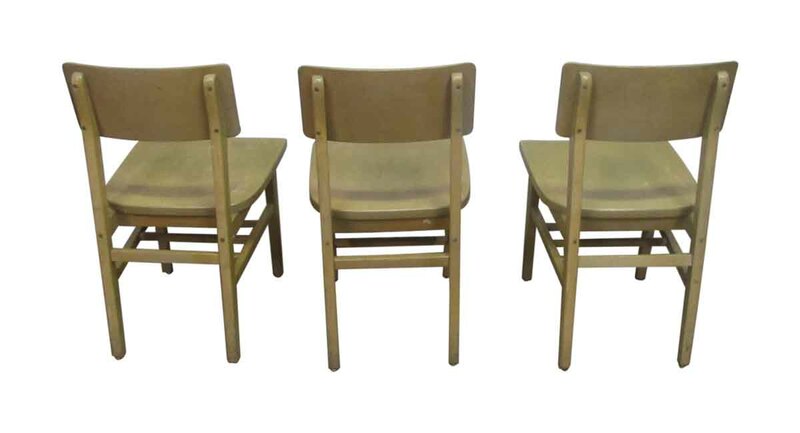 Large square seat wooden school chairs with rectangular back supports and under seat storage. 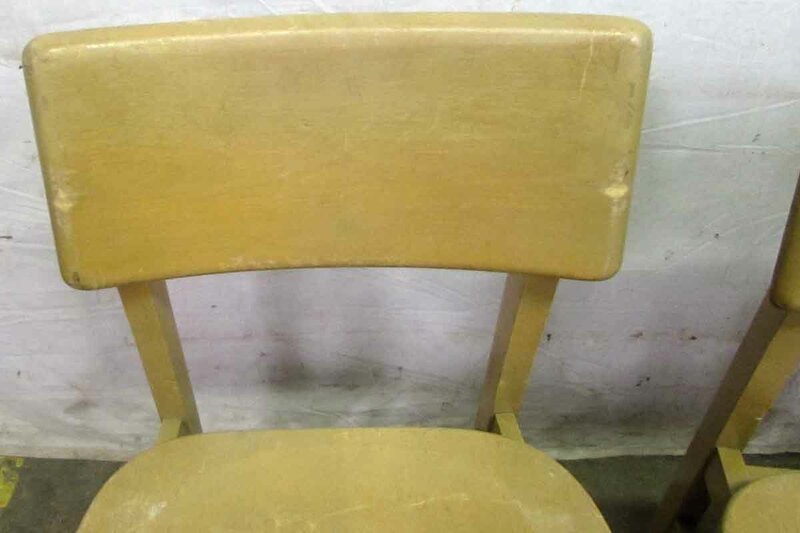 Blonde in color. Priced each.